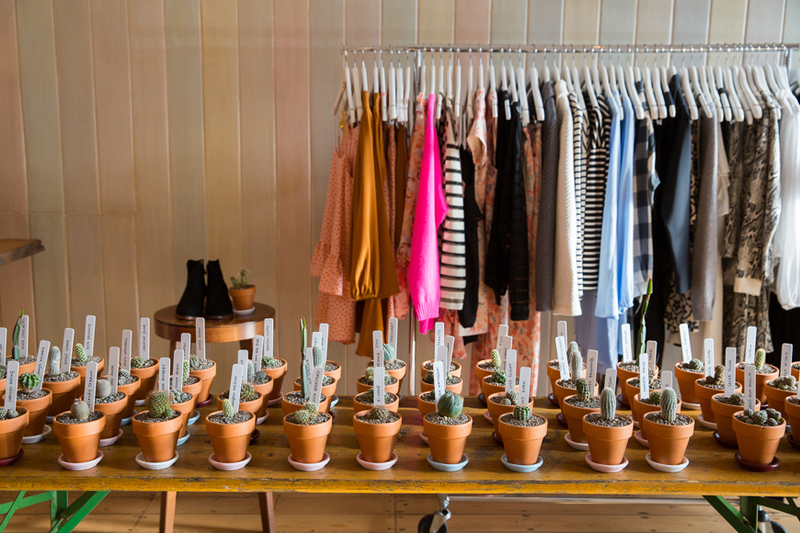 For the media day of the Ruby S/S 14-15 Dreamers collection press were given a cute little cactus to take home with their media kits. For the launch of the collection in store the gals at Ruby also wanted to give their customers a little gift too, but soon realised that having shops full of cacti could only end in disaster - if not in store then definitely while customers tried to precariously transport their prickly friend home. 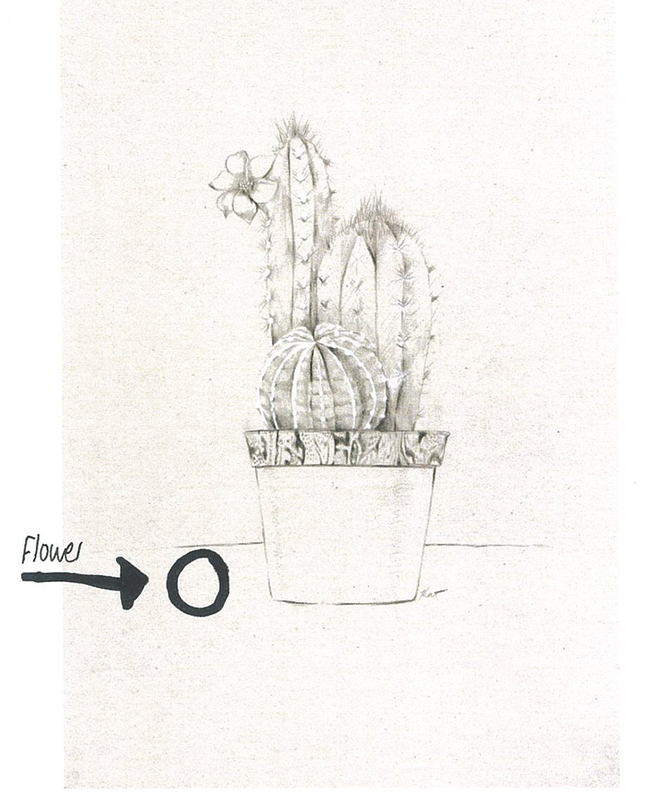 Still wanting to give a gift the girls contacted me to illustrate a little cactus to be printed and given to the first 200 customers who purchase something from the Dreamers collection, a much safer idea, and no risk of injury. My brief was relatively simple for this project, my main key points were that the image was to be in a simple neutral palette and also had to include a pattern similar to the Baja print from the collection. 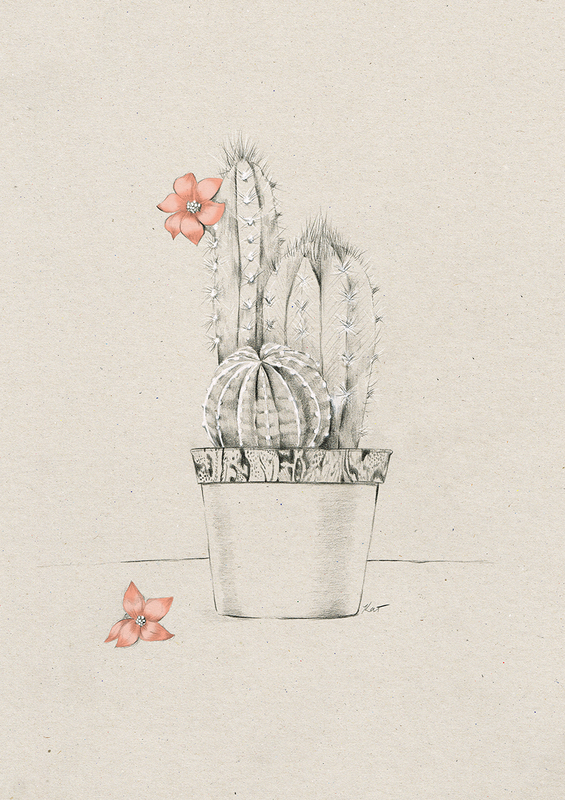 First up I tried to figure out the level of detail they wanted and what kind of cactus they had in mind. 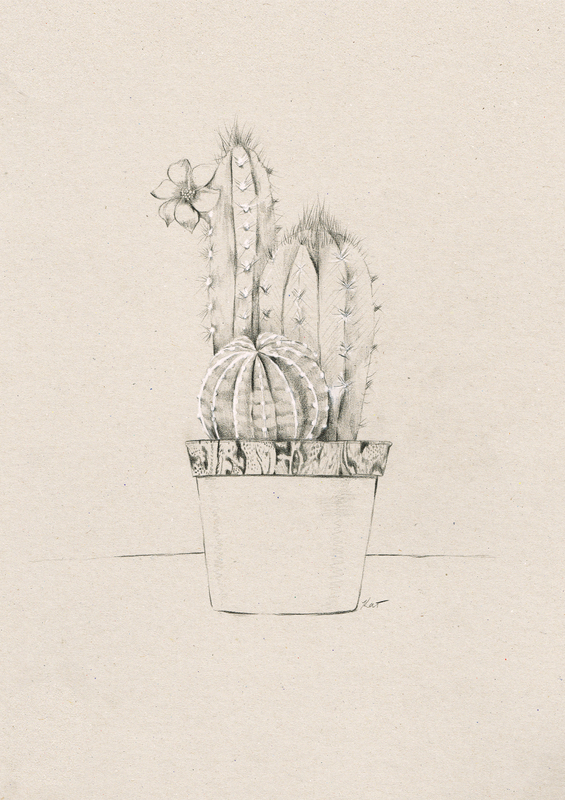 I sent through some examples of my other botanical work, and also a selection of different cacti. Showing clients pieces from your own folio is a really great thing to do at the start before drawing anything, it can save a lot of time on revisions if you know the exact style they are after. From here the girls asked for a little more shading on the pot, and the addition of a second fallen flower, so pretty simple as far as revisions go. 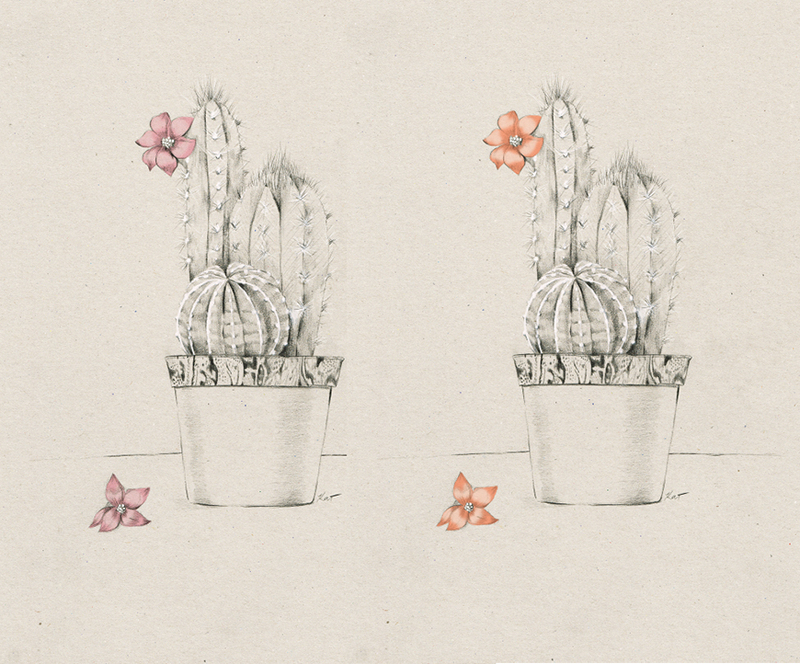 Other than that they were happy to move on to colour and decided that only the flowers would be coloured, so I sent through a revised illustration with an extra flower and my first round of pink colouring. 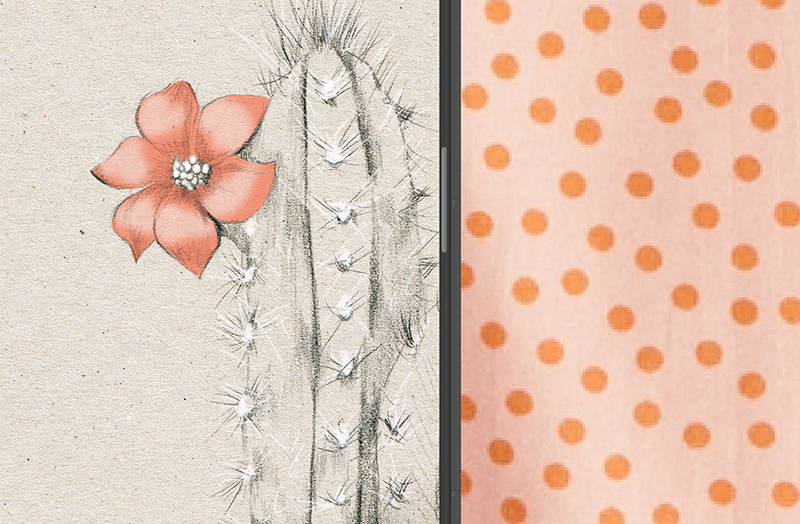 To match some of the colours in the collection I was then sent an image of their "Ace Spot" a more orange based "lolly" pink as the girls called it, so I adjusted the flowers to be a bit more peachy based to match the dots. The peach was looking a little orange on the screens at Ruby HQ, so I took a screen grab of the colour next to the Ace Spot so they could see how it matched, I also sent through a pinker option too so they could decide which they preferred. The pink option was the win and the image was signed off, completely breezy job! If you would like to get one of these prints be sure to race in to one of the Ruby stores from July 12th, purchase something from the Dreamers collection and the print is yours for free.